Martin Moloney heads the team at our Dublin Solicitors M.P. Moloney Solicitors. Martin is a graduate of the University of Wales with an LL.B. degree. He has been in the practice of law for nearly twenty years and in that time has developed expertise in a broad range of areas as well as keen sense for the most cost effective legal strategies. He started the firm in 2014 having spent a number years in private practice in small and medium sized firms and also one of the big six. Martin's expertise includes years in the practice of property law and buying and selling houses, commercial property purchase and sale, lease, rental, licence agreements, concessions and all forms of property transaction. He acts in large and small transactions alike, from securing commercial finance for property development down to completing remortgages of houses and apartments. Martin acts, advises and assists builders and developers from the stage of site purchase, through to the commercial development, building contracts, compliance with Local Authority conditions, connection of services, installation of substations, and ultimately the individual sales of each house or apartment. He has also acted for small businesses and large retail multiples in their take up of leased units in the country's largest shopping centres and retail high streets. Martin has opened many restaurants in Dublin city and outside. He advises and acts in relation to the Licenses needed for restaurants, pubs, nightclubs and organisations. He has also licensed music festivals and public events. He acts and advises in relation to the importation of alcohol into Ireland. Martin also has considerable commercial law expertise. He advises and acts in the buying and selling of businesses and companies, completion of shareholder agreements, put and call options, commercial finance and partnership agreements. He advises on company structure from the outset. He has has acted in the sale of Irish subsidiaries of multinational companies. Martin takes pride in his support for new and emerging business, especially for on-line start-ups and businesses involved in eCommerce and selling products or services over the internet. He acts in franchising and franchise agreements. Martin is an experienced litigator and has acted in cases as varied as commercial arbitration on building contracts to cross border debt collection, High Court Petitions for wind up of companies to general personal injury and accident cases. He was involved in consultations with the High Court of Ireland in settling court practices for the European Order for Payment mechanism in Ireland. Martin is also Registered Trade Marks Agent (RTMA) and Community Trade Marks practitioner and advises and acts for Irish and International clients in the registration of trade marks in Irish Patents Office, the UK Intellectual Property Office and the European Office for Harmonization of the Internal Market (OHIM) in Alicante, Spain. He also acts in trade marks licensing, sale and assignment. 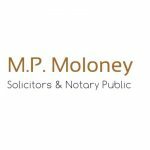 Martin Moloney is a Notary Public registered with the Faculty of Notaries Public in Ireland. Martin is a tutor on the Law Society of Ireland professional practice course in the area of Business Law. If you would like to learn more about us or any of our services, please feel free to contact our Dublin solicitors today.